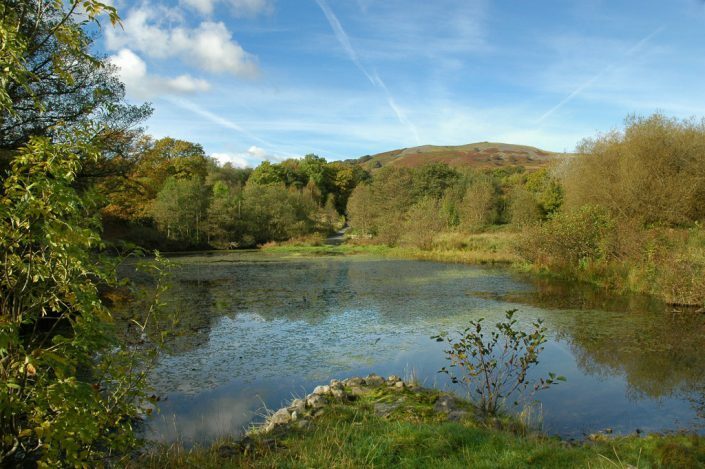 Set in 500 acres of beautiful woodlands, pasture and moorland mountainside and with two beautiful lakes, Dare Valley Country Park Accommodation has plenty to offer for walkers, cyclists, groups and all those wishing to get away from the busy hubbub of city life. 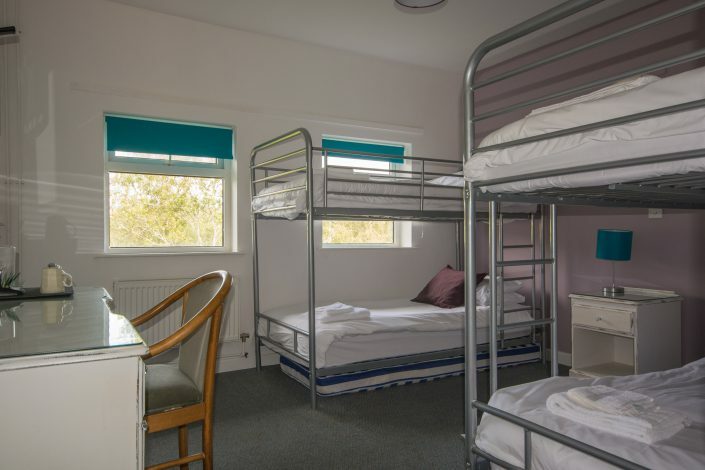 Our purpose built accommodation, comprising of 15 rooms, each sleeping up to 5 guests, is located beside the Park Visitor Centre and Café, and offers a great spot to suit any visit to the area. All rooms are en-suite and feature LCD TVs and tea/coffee-making facilities. 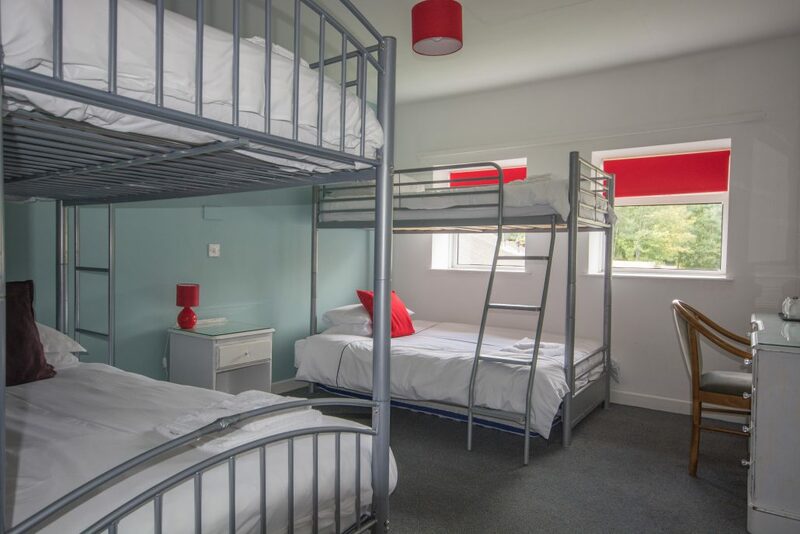 Our accommodation can sleep up to 75 people, there is a residents’ lounge for groups to socialise in and a large resident’s dining room. We also have 2 ground floor disabled access and dog friendly rooms. 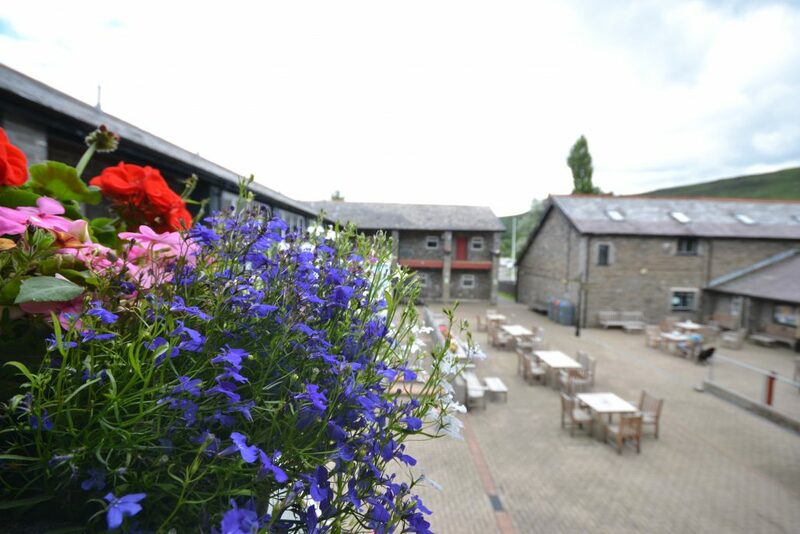 If you are looking for a company team building Residential Experience or Conference, a base for a School or Study trips or even just a relaxing weekend away with a group of friends or family, Dare Valley Country Park Accommodation is the perfect venue. The site is located within easy reach of The Brecon Beacons, the newly refurbished Rhondda Heritage Park and The National Lido of Wales in Pontypridd. A short drive takes you to the Country’s capital city, Cardiff with its great shopping and attractions including the Museum of Welsh Life at St Fagans and Cardiff Castle. Free car and coach parking is available on site and bus and train links are also available from Aberdare town centre to the Capital and other locations. 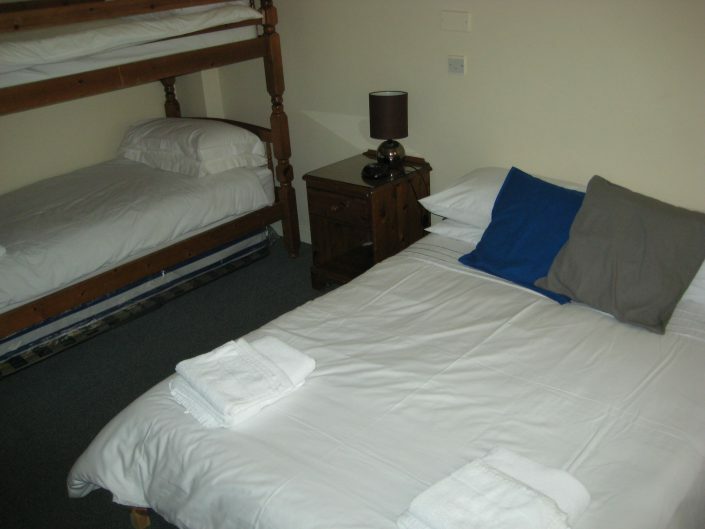 The hotel offers simply furnished, clean accommodation for up to 75 people. 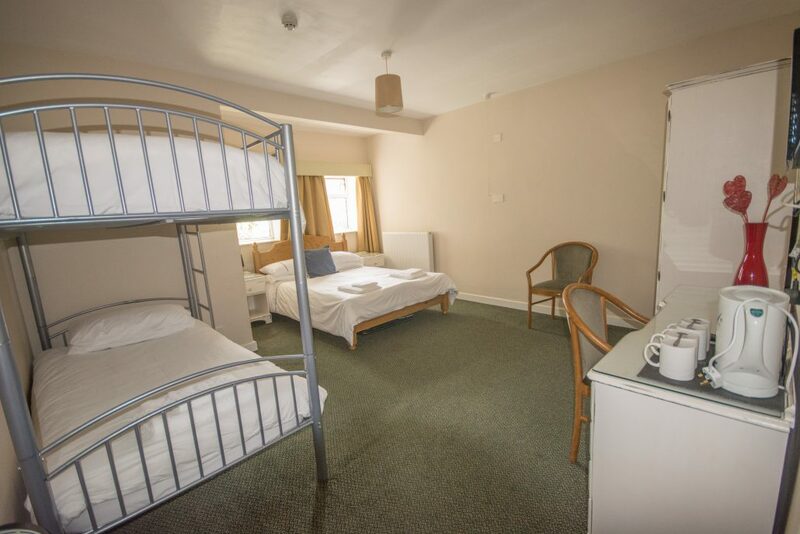 This comprises of 2 first floor family rooms with a double and bunk beds (sleeps up to 5), 2 ground floor disabled access, family double and bunk bed rooms (sleeps up to 5) and the remaining bunk beds rooms with the option of a 5th put up bed in each. 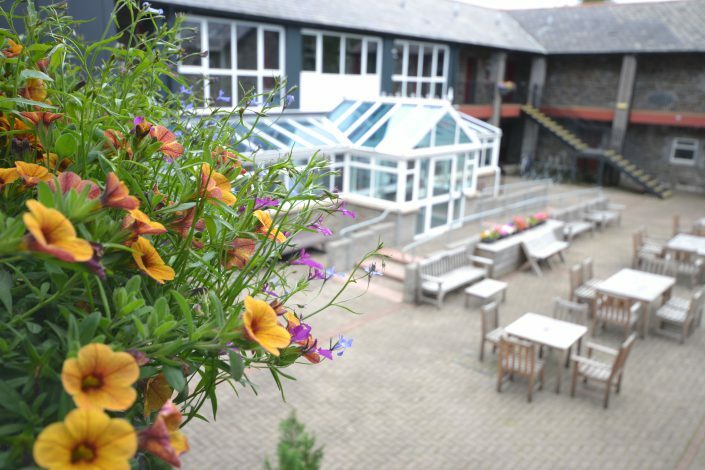 With the exception of the disabled access rooms all are situated on the first floor, accessible via stairs or lift and feature a balcony overlooking the main courtyard. 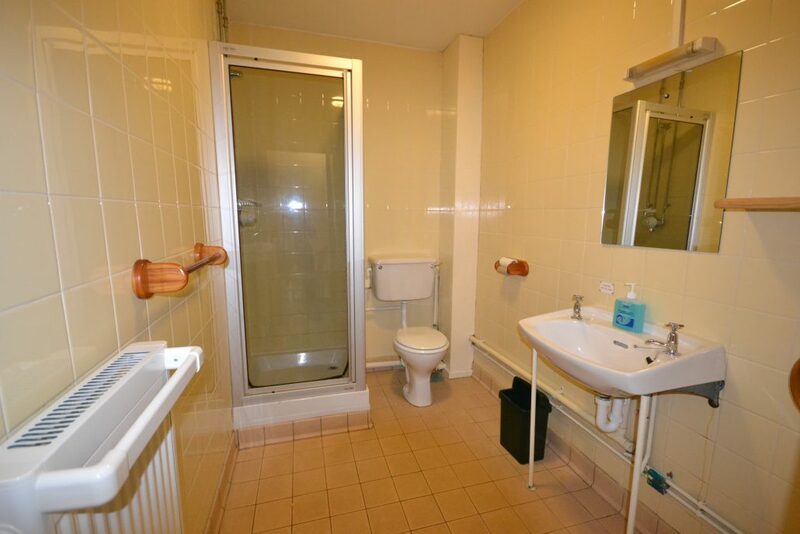 Each room has a functional en-suite shower room with an LCD TV and tea/coffee making facilities included. Lounge – there is a comfortable space for groups over 10 people where you can relax and socialise which includes Wifi, large screen TV, DVD, games consuls and Bluetooth sound system. Residents dining room – this is a comfortably furnished room that is for the exclusive use of residents and seats up to 50 guests in one sitting. For smaller groups and individuals, Cwtch Cafe on site, (open from 8am – 5pm) and offers a range of home cooked catering. 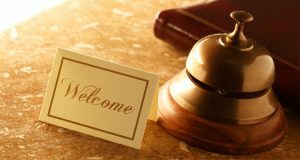 We’re here to help you make your booking as easy as possible.